Last week was a busy one here at the CVB! We helped host the 2013 Travel Media Showcase conference in which 82 travel writers and 70 exhibitors attended. On Wednesday, the visitors spent the first half of the day at the trade show held at Giovanni&apos;s, but the rest of the afternoon was for touring Rockford! I was lucky enough to have the job to take pictures of the five tour groups as they traveled around the city. It was fun watching people experience Rockford for the first time! 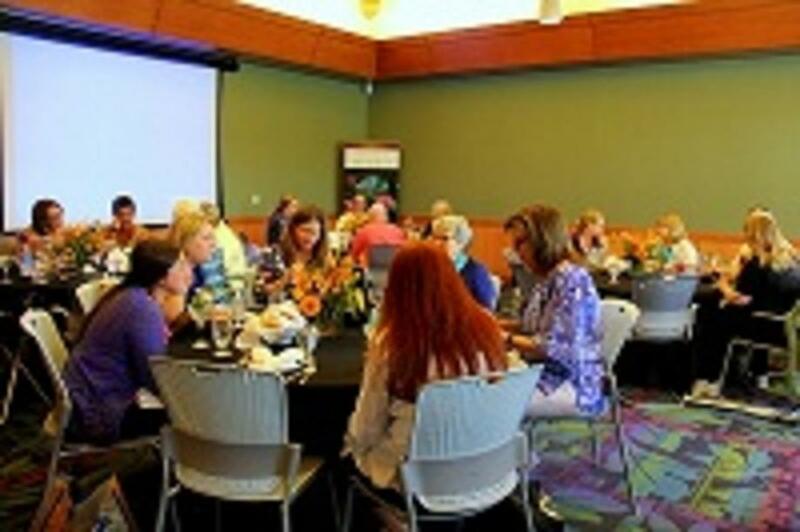 Those on the Great Gardens tour had a delicious lunch at Nicholas Conservatory before touring the space. I came in when they were just finishing eating, but I saw they had about the most refreshing-looking coconut sorbet I have ever seen. Some of the food served was even grown right there in the conservatory! Kayaking on the Rock River was a big hit for the Adventure tour, even if it was hot out that day. A couple brave souls even tried the stand-up paddle boards...and didn&apos;t fall in! I had quite the time keeping my balance walking on the little floating dock to take pictures, so I can&apos;t imagine what paddling on the river standing up would be like! One of my favorite tour locations was the Discovery Center. The people on the Family Fun tour looked like a bunch of kids playing around with the exhibits, and I&apos;m sure they probably had a hard time rounding them up to go to the next location. One place I personally hadn&apos;t been to yet was the Laurent House, so I made sure to stop by while the Historic tour group was there. Once all the renovations are done, you are definitely going to want to see it because the house is so unique. Even the light fixtures are spectacular! After the Laurent House I headed over to Rockford Art Deli where the Arts & Culture tour watched them screen print custom t-shirts right there...and the people on the tour got to keep those shirts! During the dinner at Anderson Gardens that night, everyone was competing to see who had the best tour. After getting a taste of all of them, I can honestly say there was no clear winner! Rockford has such an amazing variety of places to visit and things to see that it&apos;s nearly impossible to pick out the best one. How about you go be a tourist in your own city and see for yourself! Check out our Facebook page to see more pictures from Travel Media Showcase!